Once asked about my life,I said that I live with flowers for such a long time. of flowers in my life. I hope that my flower work makes people happy and gentle. Now I can't help but keep on doing flower works. 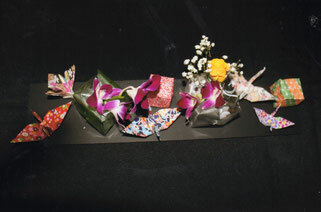 1974 Started learning Sougetsu Ikebana. 1993 In charge of the flower arrangement in Yokohama Ryouiki-en Medical Care Center from 1993 till the present time. 2007 From this year till the present time, she has taken charge of the flower arrangement at Yokohama City Saiseikai East Hospital, Handicapped Institute named Salvia. 2010　7　Demonstration&Workshop of Dr.Ricardo Carraso's succession of Banmi Shofu-Ryu in Hawaii. 9 The 11th Ikebana International Asian Conference in Manila. 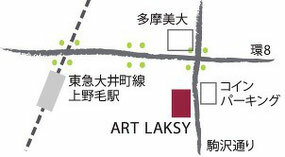 2010 Opened a multipurpose space named ART LAKSY in Kaminoge, Setagaya Ku, Tokyo. 2010 Third Exhibition “Kousui Yanagisawa and Friends” at ART LAKSY. 2012 The 10th Ikebana International World Conference in Tokyo, Daiba. The 45th Ikebana International anniversary of Taipei Chapter in Taiwan. 2014 The 8th Ikebana International Europian Conference in Potsdom,Berlin. 2014 “Symbiosis” Exhibition at "Minatomirai Gallery" in Yokohama. 2015 The 12th Ikebana International Asian Conference in Taipei chapter. 2016 5 Demonstration in St,Peters burg chapter of "Ikebana International" in Florida. 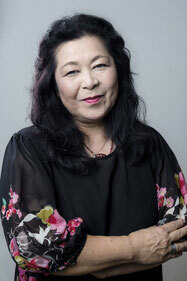 And also she has been participating in many Sogetsu exhibitions and events. 2007 Wall painting of the bathroom for the handicapped children at Salvia Handicapped Institute of Yokohama City Saiseikai East Hospital. 2010 Wall painting (50 m) Big Ash Tree at Hodogaya Touch, a Handicapped Institute in Yokohama City. She has also given numerous workshops, demonstrations, and exhibitions at ART LAKSY, hospitals, handicapped children institutes, nursing homes, abused children homes as well as in hotels, schools and churches. 2007 “Meguri Ai” (Meeting and Loving), an essay describing her floral experiences and her beloved dog.